Have you ever thought "Who is connected to your Wi-Fi," have you left your Wireless network unprotected or have shared your password with friends or neighbours. How much data they are using and how many devices are connected to your Wi-Fi. These days ever device requires Internet connection from smart phone to smart doors, and if you have a home wireless network, you must assign or changed the default password for your router. But if you haven't or not sure about how to secure your wireless then you can keep monitoring your wireless networks with these tools. There are a few useful tools to find out who is connected to your device. You can choose them according to your requirement. Wireless net watcher scans your Wi-Fi and lists connected device with various details like IP address, Mac addresses, and computer names. Wi-Fi guard is a similar tool to Network watcher but also comes as an installer and portable version. I would recommend using portable version because you don't need to install it and use it directly, and there is no difference between both versions. 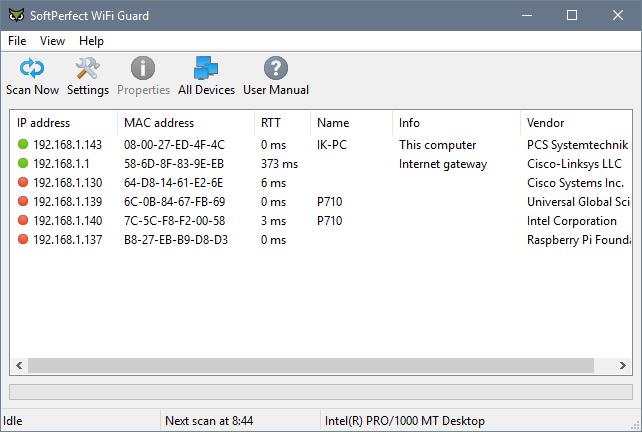 Wi-Fi guard helps to monitor connected device actively and let you schedule scan in a time duration; you can choose the portable version to keep running in the background on Windows and Mac. Wi-Fi guard can also notify you when a new device is connected to your network. Bopup Scanner is another cool free tool to monitor active devices in your wireless network and is completely free. You can download BopUp from here. Bopup only comes in portable version only. These tools are only recommended because they are free and useful for blocking other users from your Wi-Fi and managing connected devices.